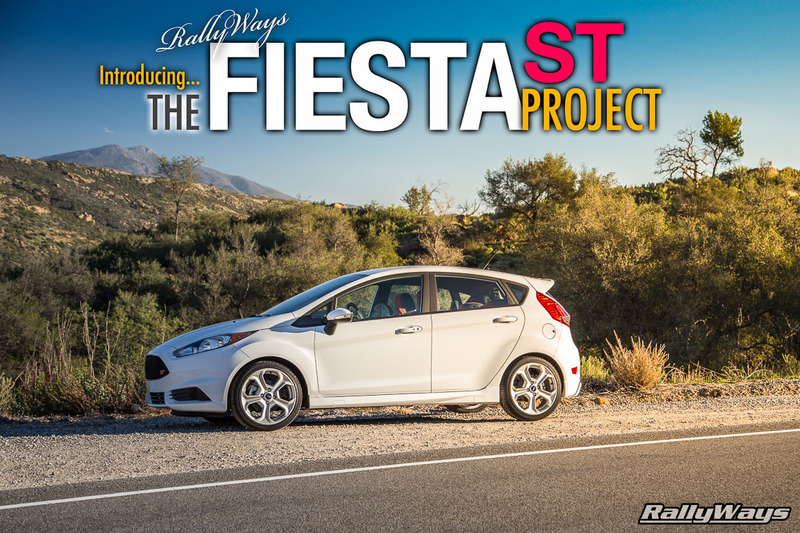 For immediate release: Say hello to the RallyWays Fiesta ST project car. We’d liked to officially announce our brand new Ford Fiesta ST project car. This is a new 2015 Ford Fiesta ST in Oxford White with Molten Orange Recaro seats. The amazing partial leather Recaro seats are the only option. No moonroof, no nav, no nonsense. 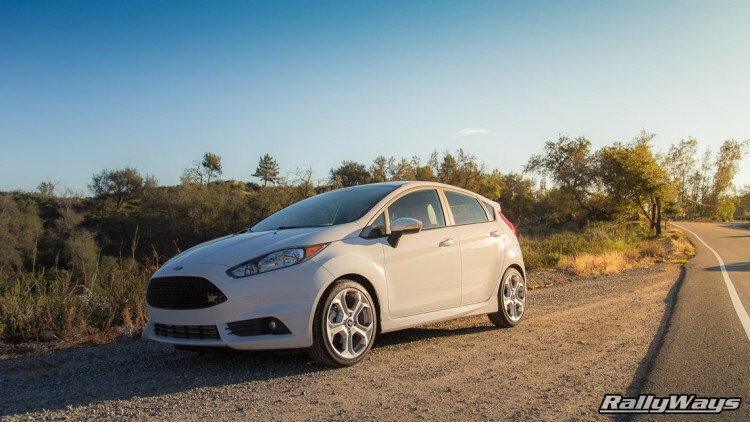 Last summer we tested a Fiesta ST from Crowley Car Company for the first time and loved it. Immediately after getting back from SEMA we placed an order for the same exact car, only with orange seats and no sunroof. That was the second week of November 2014. The Fiesta ST is a bit of a niche car compared to the standard Fiesta hatch. For this reason, orders take much longer than your average Ford. We waited a couple of months and took delivery just a few weeks ago. We were busy getting her broken in using a very detailed engine break-in method (more on that later) before making any official announcements. If you have been following the RallyWays Instagram you would have already seen pictures of her. 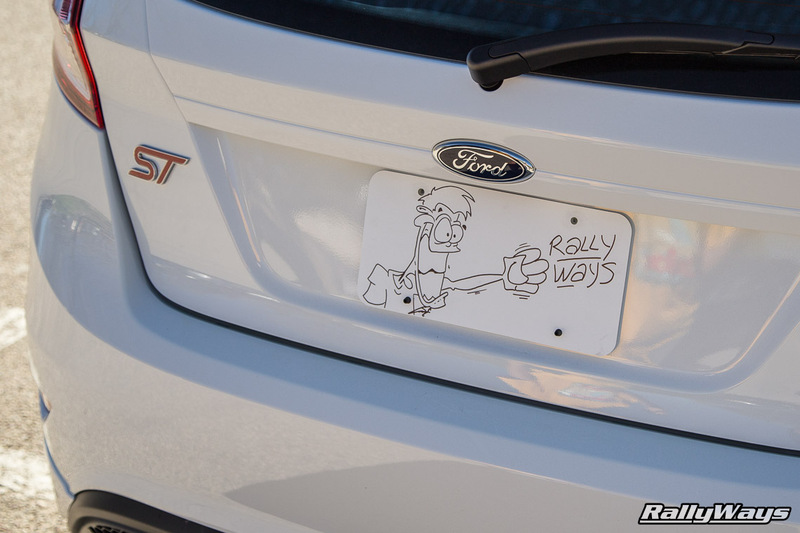 The RallyWays Ford Fiesta ST doesn’t have a name yet. In fact, we’ll likely be asking our followers on Instagram to help us name her. The most exciting part of all this is the project bit. This is not going to be a simply white stock daily driver. This is going to be a full blown project show car with the performance potential to lay it down on the track and autocross course. We want proven performance with predictable numbers and perfect daily driving reliability. Almost as importantly, we want ease of use and installation with ZERO guesswork. Since COBB Tuning has some very well-tested and proven stage packages for the Fiesta ST, the choice was an easy one. We knew we wanted to work with COBB for our Fiesta ST from the very beginning. We decided to go all out and step right up to a COBB Stage 3 package for the Ford Fiesta ST. However, we could’ve easily started at stage 1 and worked our way up since each subsequent stage package builds upon the previous one. Pretty noises? We can’t wait to install the COBB parts and listen to the engine breathe, turbo spool-up and the raunchy sounds of what will be a pretty glorious exhaust note. Stay tuned for more details on the COBB Tuning parts going on our Fiesta ST in upcoming articles. Just as importantly, we’ve teamed up with Rally Innovations out of Anaheim California to help point our Fiesta ST in the right direction. The folks at Rally Innovations have tons of experience on the track and on the dirt. When not getting dirty, they have built a good number of successful SEMA cars. Our FiST will be getting a whole array of Rally Innovations exterior parts that we will be announcing soon. There will be a few great surprises along the way as well. Ah, the RallyWays livery. If you’ve been following our blog for some time you’ve probably come to get used to our red, yellow and grey brand colors. We are not content with an Oxford White Fiesta ST with a bunch of stickers and stripes on it. Nope. We’re going for a full livery wrap designed in-house and installed by our very good friends at KI Studios Car Wraps. Kyle at KI Studios has years of experience wrapping supercars with names such as Ferrari, McLaren and Lamborghini. We reckon our Fiesta ST is in good hands. We’re not going to spill the beans right away so stay tuned for the unveiling of the RallyWays livery. The folks at Blue Springs Ford Parts will be our source for OEM Ford parts. With the busy schedule around here it’s good to have someone reliable online from whom you can order parts and know they have them in stock and will ship quick. Definitely beats your run-of-the-mill auto parts store where half of the stuff is generic if you even happen to find what you need in stock. Generic is ok for headache pills, not car parts. This is only the beginning. There are way too many awesome things happening around this Ford Fiesta ST build. We are also partnering with more exciting companies to further develop this car. We didn’t choose the Fiesta ST without thinking. We truly believe that there is simply no better car out there for less than $25k. Yeah, there are number of other really good budget performance cars on the market right now, but the sweet spot seems to be between $25,000 — $30,000. Heck, even the new 2016 Mazda MX-5 Miata has been announced to start at $25,915. Add a single option and you’re over the $25K mark. We believe the 2014+ Ford Fiesta ST to be a miracle-car sent to the USA by car enthusiast angels. Our Fiesta ST is going to be one finely-tuned miracle-car. Just you wait! 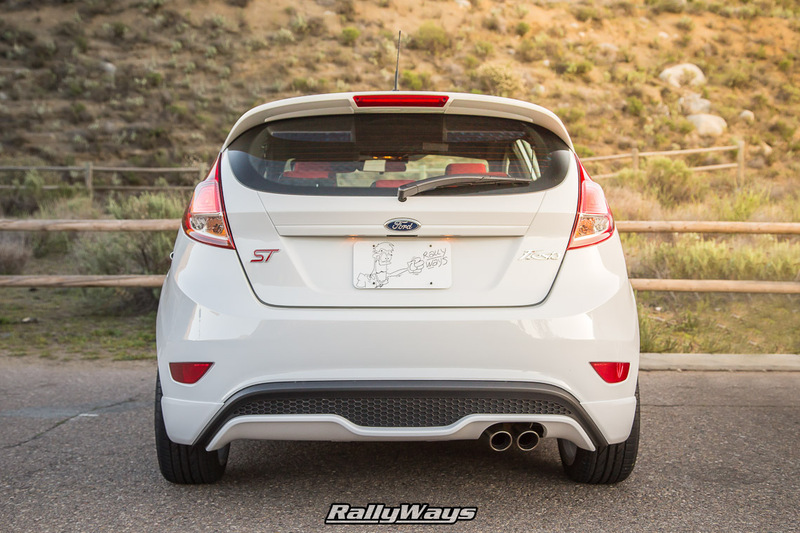 For the technical articles related to our Ford Fiesta ST build be sure to check out the RallyWays Fiesta ST specialty articles. We’ll start with a parts list article that we will update as the build progresses.